eChecks are one of the easiest available methods of depositing money to an online casino and are considered an alternative for players who abstain from using more conventional payment methods like bank transfers and credit or debit cards. It functions the same way as a physical check does but without the extended wait time of mailing it to the other party and waiting for the recipient to cash it. Funding your online casino account with an eCheck has already gained some traction among online casino players, but is especially suitable for players from specific jurisdictions like the United States who may be otherwise unable to top up their casino balance with more traditional methods like credit cards and digital wallets. Many gamblers prefer to use eChecks over other payment solutions because the former offer worldwide availability, straightforward use, high levels of security, and prompt transfer times. If you are unfamiliar with how eChecks work for online gambling purposes but are willing to give them a go, you should at least skim through this article to gain a better understanding of what to expect from this payment method. Create account / Sign up for account Opening a checking account is free. 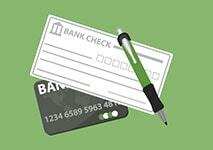 Monthly fee for a checking account Depends on the banking institution. Make a payment via an eCheck Usually, it is free but there might be fees ranging between $0.30 and $1.50. Transfer funds from eCheck to bank account Your checking account is connected to your bank account so there is no need to transfer any funds. Transfer funds from Merchant to an eCheck Usually, it is free or there might be a very small fee. 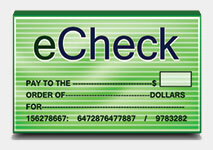 To submit an eCheck all one needs is to have a valid checking account and fill out the needed forms. The process is the same as with the standard checks that many people are familiar with and have been using for decades. 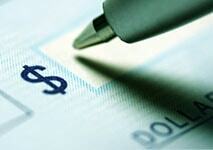 But before you can issue checks, you need to open a checking account with a bank that supports this option. All major banking institutions and payment gateways would normally offer their customers the option to pay via eChecks. For this purpose, they will need a checking account. A checking account should not be mistaken for a standard bank or savings account because there are a number of differences between them. A checking account is sometimes referred to as a transactional or a demand account and one of its most distinctive features is enhanced liquidity which is to say account holders are granted an immediate and easy access to their available funds. This access is usually made possible via several avenues. Players who own checking accounts can access their funds by issuing paper checks or eChecks, by an automatic transfer or by withdrawing the money directly from an ATM using their debit cards. Another feature that distinguishes checking accounts from standard bank or savings accounts is that the former allow for an unlimited number of deposits and there are usually no restrictions on the withdrawals you can make per month as well. Casino players looking to use eChecks should first choose a checking account that best fits their gambling purposes since banks tend to offer a variety of options. Most banks upload charts featuring the different checking account types on their websites so you can use those for comparison. 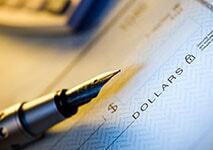 A checking account would normally have some requirements in regard to the minimum balance needed for its maintenance. Another thing to take into account prior to setting up a checking account is how many eChecks the bank would allow you to process each month. If you are a regular casino player who deposits fairly frequently, it would be best to set up your checking account with a bank that allows for a higher number of monthly eChecks. Another factor that bears consideration here has to do with the monthly maintenance and overdraft charges you may incur. Many banks charge maintenance fees on checking accounts and one way to avoid those is to meet the minimum daily balance requirements of your bank. Once you they have found a banking institution offering their preferred type of checking account, players can visit their bank in person for the application procedure or fill in the application form online. Each applicant must include information regarding their social security number, their permanent residence address, permanent phone number, valid email and so on. Once you have set up your checking account, you will be able to make instant online payments to and from your casino. The eChecks pose as an efficient, secure and prompt method to boost your online casino balance. To make a deposit using eCheck, go to the cashier page and select ‘Instant eCheck’, enter your details and confirm the payment. The information required is the same as with regular paper checks – your name, your account number (also called DDA, usually between 8 and 10 digits), routing number (known as ABA, usually 9 digits), the bank’s name, and the time you wish the money to be withdrawn from your checking account. The payment is instant and you can start playing a game as soon as you wish. Here it is important to specify that different payment gateways and banking institutions have different policies in regards to eChecks. It is advisable to get in touch with the casino’s support staff and ask them whether they accept eChecks from the bank you are a client of. Once you fill in the form, you should go through it once again to ensure all the information is entered correctly. After you confirm the transaction, your casino balance is immediately credited with the specified sum, provided that it is available in your checking account. You will be sent a unique number for confirmation, which you are advised to save as a proof for the transfer in case some issue occurs. One of the biggest advantages of depositing with eChecks results from their availability for withdrawals as well, at least in most cases. The withdrawal procedure is just as straightforward as initiating your eCheck deposit. When choosing to withdraw your winnings via eCheck you should take into account that some casinos may not support this method for withdrawals. Contact the casino’s customer support to better understand what your options are. In the event that you cannot withdraw your money via eCheck, you must resort to using other transfer methods like wire transfer, physical check or third-party payment services. There are several things casino players who plan to withdraw via eChecks must take into consideration. If this is your first time withdrawing money from your casino balance, the casino would prompt you to verify your identity. Note that if you have submitted your deposit via a card but intend to withdraw with an eCheck, they will still ask you to undergo verification and send them the necessary copies of your card’s front and back sides along with scans of some documents. The purpose of this is to confirm your identity and method of payment. Also, some casinos would require you to use the same method for withdrawals you have deposited with. So if you insist on withdrawing via eCheck, it would be best to deposit with an eCheck, when possible. Another thing to bear in mind is the processing timeframe. Sadly, eCheck withdrawals are not as prompt as deposits, which is to be attributed to a policy that stipulates that each payment leaving a given player’s account should be approved by the casino’s financial department. The purpose is to establish that the person requesting the withdrawal is the rightful account owner. The withdrawal approval timeframes vary between 24 hours and 72 hours, depending on the casino. Once this period elapses, you will receive the funds within up to 5 days but some casinos may extend this timeframe to up to 10 days. If you are unsure how long your eCheck withdrawal may take, it would be best to inquire with the casino’s support to see if you can settle for this waiting time. Still, the processing times will be shorter when compared to those of standard paper checks where the withdrawals may take several weeks to complete. This type of online transaction is considered to be one of the most comfortable and hassle-free payment methods, because of its simplicity, ease of use and swift transfer of funds. Also worth mentioning is the low cost of the transaction. Many casinos choose to process eCheck payments at no cost for the players but it is possible to pay extra depending on your bank’s policies. The average cost of an eCheck transaction ranges anywhere between $0.30 and $1.50. Additionally, your bank may require you to contribute with a monthly maintenance fee if your checking account’s balance drops below their stipulated minimum. An example would the Bank of America where the bank waves off the maintenance fee as long as the customers’ checking balance does not drop below $12. If your available balance is insufficient and your payment fails to go through because of this, you may end up paying another service fee. How much again depends on your bank but on average, the percentage ranges from 5% to 25% of the eCheck’s value. The minimum deposit limits for eChecks are higher at most online casinos, especially when compared to the minimums imposed on other available methods which normally vary from $5 to $20 tops. In contrast, the minimum amount you can deposit via an eCheck is usually about $100. The upper limit is also higher but varies so we recommend you check with your casino’s cashier or support staff for further details. Using eChecks is a secure way to make payments to casinos that accept them. The payment is made directly from the client to the casino, cutting out the middleman such as when paying with a credit card. Casinos also make use of this system’s advanced security which incorporates digital fingerprints and tracking. This high level of security is achieved by different techniques apart from tracking, which include digital signatures, public key cryptography, transaction authentication, and duplicate detection. Another advantage of this system is that since the whole process happens online, payment tracking is much simpler and easier. Each transfer is assigned its own unique tracking code which the player may use as a reference and as a transaction record. Of course, having to provide one’s personal and banking information to the eCheck system may be a hard pill for some people to swallow but the entire process is heavily encrypted so the customer’s private and financial details are safe. The casinos themselves have no direct access to the information and a person can forward payments to multiple casinos at once from the same checking account. This electronic money transfer method is far safer than its standard paper cousin since there is no physical document that needs to be mailed by the payee to the recipient, i.e. the online casino. To boot, banks themselves would protect their customers against misappropriation and frauds. For example, the federal Regulation E stipulates that all US banking institutions should reimburse checking account holders and permit them to void transactions they believe are fraudulent. However, measures should be taken within 60 days after the unauthorized transfer has appeared on their bank statement. Furthermore, US holders of checking accounts are protected by the policies of the Federal Deposit Insurance Corporation (FDIC) which states that all US citizens’ savings and checking accounts must be insured against bank insolvency for up to $250,000. The casinos themselves have no direct access to information and a person can forward payments to multiple casinos at once from the eCheck system. The beauty of eChecks lies in the fact they are available worldwide and are accepted by most large and reputable online casinos. Furthermore, eChecks serve as a very fitting payment alternative for players from jurisdictions like the United States where online casino gambling is mostly prohibited. Such players may be able to initiate a deposit with a prepaid or a debit card only to find their withdrawals to the said card are blocked by their issuer. Since online gamblers from the US cannot use widespread digital wallets like Skrill and Neteller, they would usually resort to having their withdrawals returned to them either via a bank transfer or eCheck, which is the faster alternative out of the two. The same pertains to players who gamble at offshore-licensed online casinos but reside in jurisdictions where online gambling is outright prohibited without a license from local regulators. Online casinos in the United Kingdom on the other hand are completely legal and thriving. They have many diverse payment methods, eChecks being one of them. We are living in the age of the Internet and we are always connected to it even when we are away from a computer or on the move. Most banks that service checking accounts also have their own mobile applications for Android and iOS. This makes it easier for players to top up their casino accounts if they are away from a computer or cannot access one for whatever reason. The main appeal of eChecks over classic paper ones for players and casino owners alike is that the transfer of money is immediate and the player can begin a game almost as soon as they have sent the payment. Meanwhile, if they send a paper check they would have to wait several days, at which point they may lose the desire to play. In addition, the sum can be refunded by the bank within 60 days of issuing the check (similarly to a credit card) should any trouble or fraudulent activity occur. Another positive of using eChecks has to do with is their worldwide availability. Players from all countries can choose them as a payment method as long as the casino they have signed up with supports eChecks as a banking option. The acceptance of eChecks is especially beneficial to players from the United States, who often struggle to process their payments to foreign online casinos because of the legal restrictions that prohibit payment services providers and financial institutions from handling such transactions. Of course, a possibility still exists that the bank may decline the transaction but the chances of this happening are much smaller. The eChecks can also be considered a method that reduces the risk of overspending and depth accumulation. Since the money for the transfer is deducted from the player’s checking account which contains only liquid funds they use for day-to-day expenses during the month, it would be impossible for a gambler to slip into debt. Many online casinos would accept eChecks for both deposits and withdrawals. Players who have checking accounts are provided with a card which they can use to withdraw their winnings from any ATM in the world. Though not as popular as other methods of payment, eChecks transactions come with a few bonuses for players. Typically around a 10% deposit or a set sum bonus awaits players at most large casinos. Though not as popular as other methods of payment eChecks transaction bring with them a few bonuses for players. Typically around a 10% deposit or a set sum bonus awaits players at most large casinos. A drawback to using eChecks is that because of the much smaller time window in which funds are released from your account, you need to ensure you have the full sum in your checking account at the time of the transfer, otherwise the check may bounce. Also one must take into account the fact that the bank will most likely not issue a copy of a canceled check even if presented with a paper one. If the check bounces due to funds insufficiency, the player is almost guaranteed to be charged with a hefty fee. The increased minimum deposit limits may also be deemed a disadvantage, especially if one is a small-scale player who prefers to deposit within the range of $50 or so. Last but not least, eChecks are not as time-efficient as other widely used payment methods like cards and e-wallets, at least where withdrawals are concerned. It is easy to say that eChecks are a safe and reliable method of payment when taking part in online gambling, which can be incredibly simple to use. The direct nature of the transaction leaves little room for fraudulent activity and the ease of tracking payments further simplifies the resolution of any issues that may occur.